Yes!! I’m ready to find out how to enjoy 5 Steps to 150 Management Product! 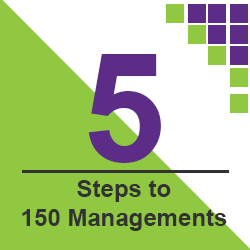 5 Steps to 150 Managements is a management tool designed to identify the key processes to consistent growth of a minimum 150 Managements every year. 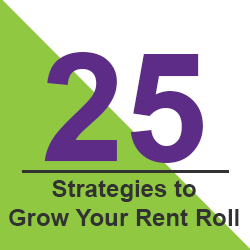 We have identified the 5 Steps that are vital to the success of consistent Rent Roll growth and provide the tools necessary to make it work. Send me my copy of “5 Steps to 150 Managements” right away! I understand I’m backed by a full, 100%, risk-free, 30-day money-back guarantee – And if I decide this guide is simply not for me, I know I can ask for and receive a prompt refund at any time within the full, 30-day period.